(HealthDay)—For adults with subglottic and proximal tracheal stenosis (SGS/PTS), serial in-office intralesional steroid injection (ISI) after endoscopic dilation is associated with a prolonged surgery-free interval (SFI), according to a study published online Jan. 11 in JAMA Otolaryngology-Head & Neck Surgery. Caitlin Bertelsen, M.D., from the Keck School of Medicine of USC in Los Angeles, and colleagues examined the correlation of serial in-office ISI after endoscopic dilation with SFI in a retrospective study of adults with SGS/PTS. Data were included for 24 patients who met the eligibility criteria: 10, eight, and six had idiopathic, traumatic, and rheumatologic-related SGS/PTS. 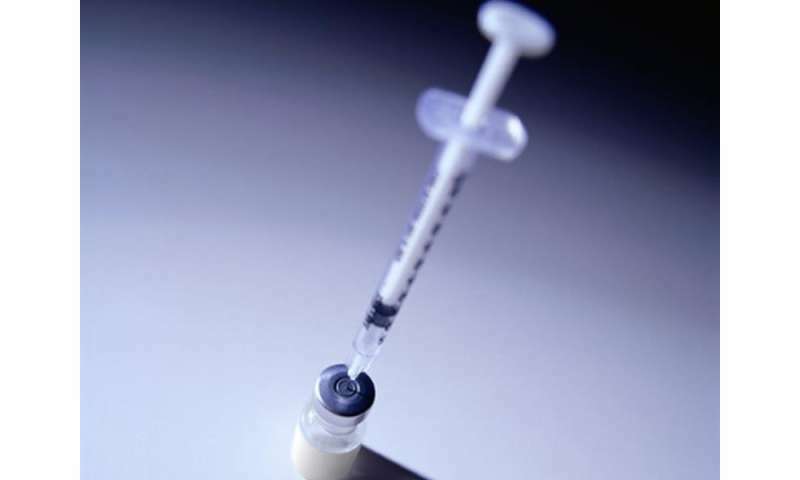 Patients were followed for a mean of 32.3 months and underwent a mean of 4.08 injections. The researchers found that after ISI, 71 percent of the patients did not undergo further surgery. The mean SFI was 17.8 months overall, and it was 15.7, 13.8, and 26.7 months for idiopathic, traumatic, and rheumatologic-related SGS/PTS, respectively. Overall, 88 percent of patients underwent dilation(s) before ISI. For those patients who met the eligibility criteria for comparison of SFI before and after ISI, there was an improvement in SFI from before to after ISI, from 10.1 to 22.6 months. After ISI, no patients required open airway surgery; there were no adverse events linked to ISI. "Serial in-office intralesional steroid injections are safe and well tolerated in adults with SGS/PTS," the authors write. "This technique can reduce the surgical burden on these patients and may obviate the need for future airway intervention."